… It was the start of a life lasting love story. 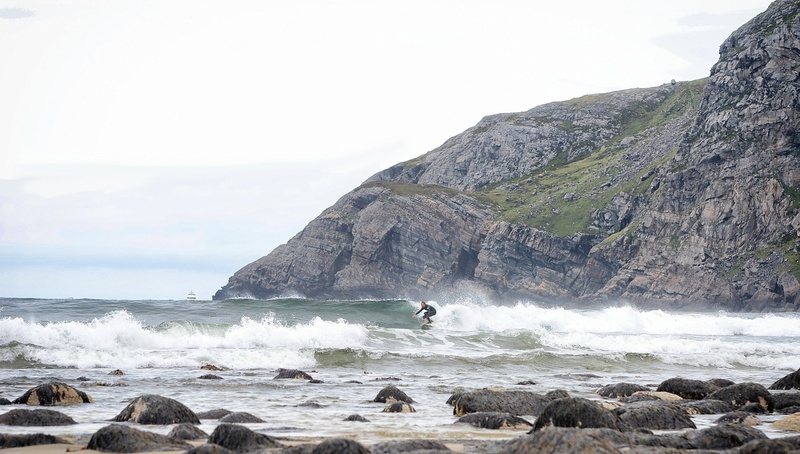 Soon we discovered the potential at home, the amazing surf in the cold, uncrowded Scandinavian waters. From that day we have been in the crystal clear waters as much as possible. And our favorite place is Stadlandet, specially Ervik and Hoddevik. We love the feeling there, the magical steep mountains, the breathtaking views, the white sand beaches, the chill vibe, the friendly people and off course the amazing waves around the peninsula. Its our paradise on earth. Winter, summer, spring and autumn. … Home is where the surf is!